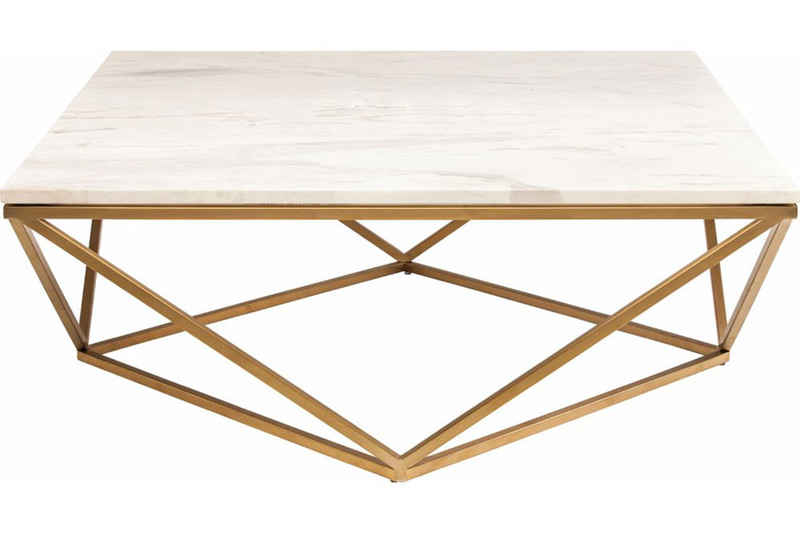 Bold angular lines converge with modern materials to create the Jasmine Coffee Table. 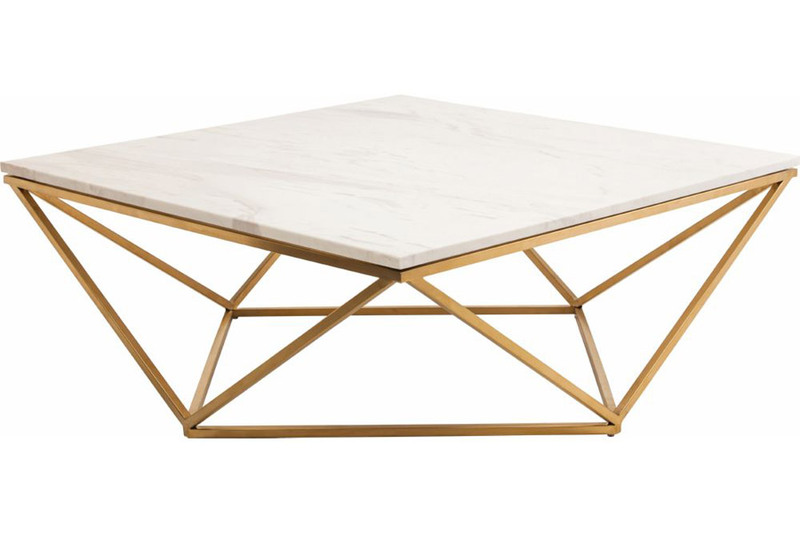 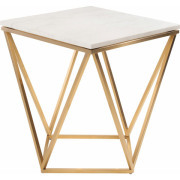 This stunning piece begins with a square white marble top, and then adds a geometrically-inspired polished stainless or brushed gold steel base to create a contemporary accent ideal for your space. 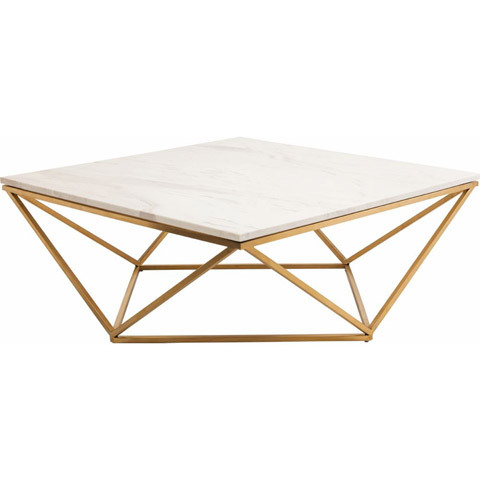 Jasmine's square top is mirrored in the smaller square at its base, joined by opposing triangles to create a fractal-esque visual interest rare in modern furniture collections.